Libby Dunn is from Falls City, Nebraska and graduated from Falls City Sacred Heart High School in 2017. She is a sophomore and is pursuing a major in Journalism with a Pre-Law minor. 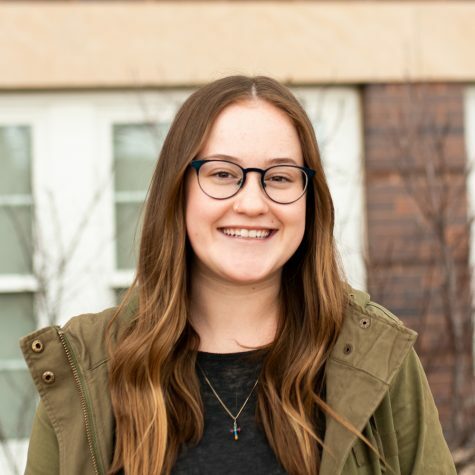 On campus, along with working for The Wayne Stater, Libby is a member of Student Senate, the publicity chair of Active Minds, an honors students, and a Rural Law Opportunities Program (RLOP) student. Once she graduates from Wayne State, Libby plans on attending the UNL College of Law and practicing rural law. During her spare time, she likes to read novels, listen to music and enjoy the outdoors. Libby’s favorite food is waffles with peanut butter and she has one older brother, Chaz, and one younger brother, Sam.